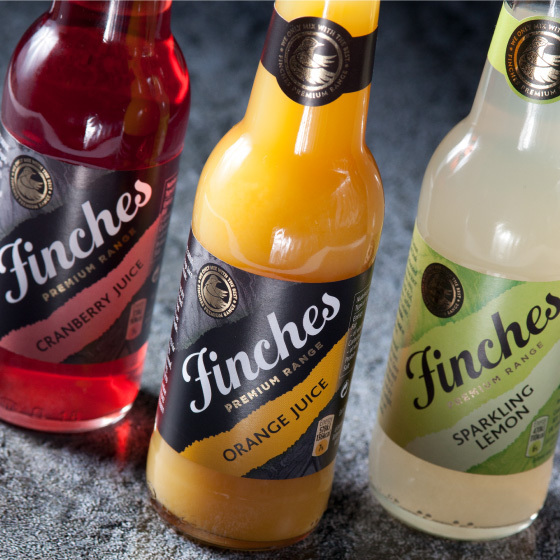 C&C wanted to sell their Finches Mixers and Cordials ranges in the retail sector. Previously they had only been available on-trade. The requirement for new packaging formats prompted them to re-think their marketing. 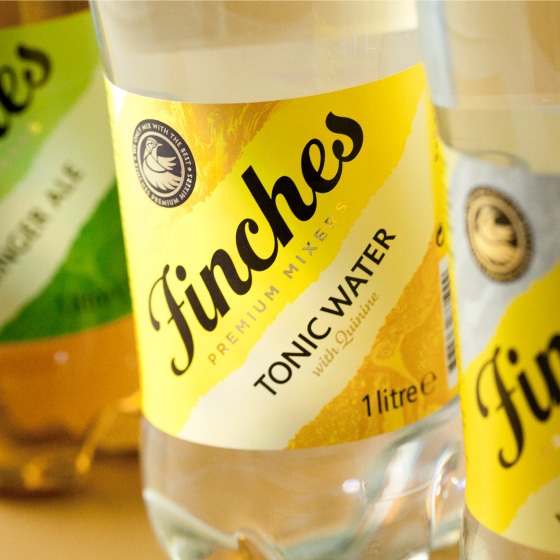 The Finches brand has always suffered from the disconnect between the adult-oriented mixers & cordials and the youth appeal of their 500ml Finches Orange product. Previously C&C had attempted to reconcile this disconnect by developing a design system which was consistent but allowed for different nuances to appeal to the different target markets. This solution was designed by us in 2013. The new approach was to be more radical. 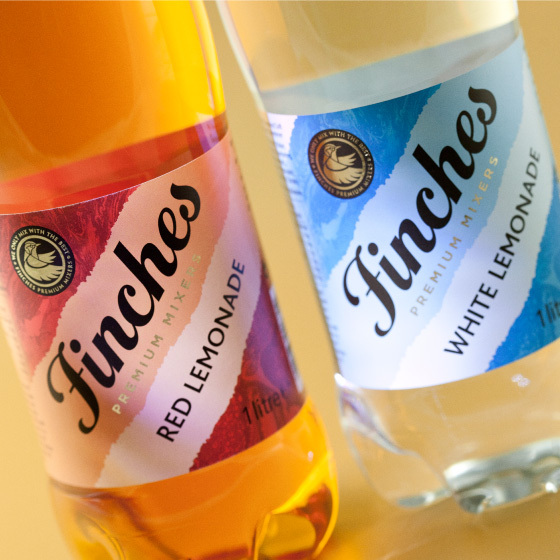 C&C decided it was necessary to completely differentiate the mixers and cordials from the 500ml orange range. The only connection between the two designs would be the Finches logo. The priority was to make the mixers and cordials premium. 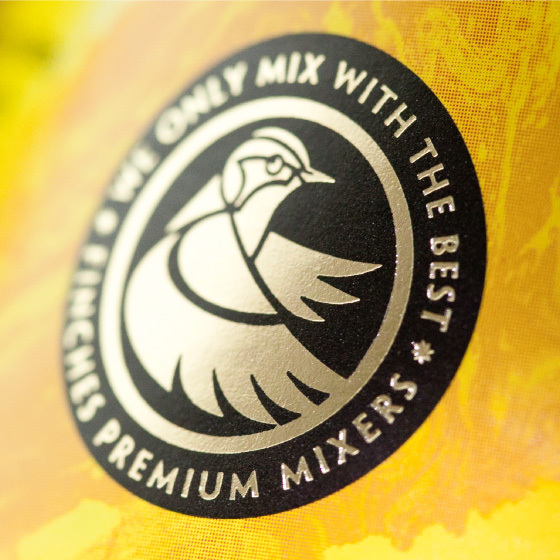 To this end we used gold foil and developed a ‘we only mix with the best’ badge which was also rendered in gold foil. A marble background texture communicated the ‘mixer’ quality of the product as well as re-inforcing the sense of quality. The typography we used was classically proportioned but san serif. To keep the design dynamic and maximise branding, every element appears at a 45º angle.